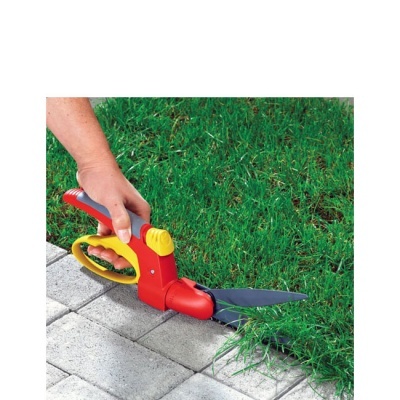 Wolf-Garten Comfort Grass Shears designed for convenient handheld edging and trimming of lawn edges where access is difficult, such as along pathways, walls and fences. 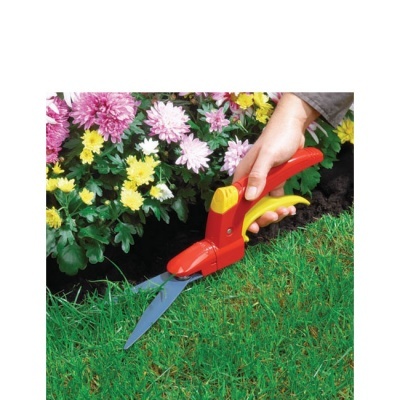 Blade design reduces cutting effort by up to 30% as friction is minimised and shears benefit from a deflector to control clippings. 180° rotating blade head, allowing choice of cutting angle depending on access. 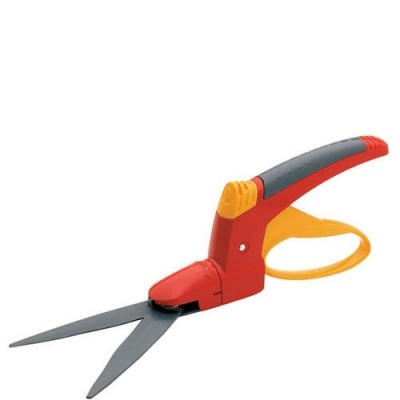 Comfort Grass Shears benefit from non-stick coated wavy-edged blades for ongoing precise cutting, and a practical single-handed safety lock. Wolf have even designed an integrated knuckle protector as standard to make this a gem of a tool for enjoyable use.